The first-ever World Series of Poker Online Circuit Series concluded on Sunday bringing to a close 13 days of action that awarded over $1.6 million in prizes. The original $700,000 series guarantee was shattered as players from both Nevada and New Jersey piled into the tournament lobbies for their shot at one of the 13 WSOP Circuit rings that were up for grabs. After 12 preliminary events, Event #13 ($525 NLHE Main Event) took place on Sunday and it did not disappoint. 439 players registered to help crush the $200,000 guarantee and create a prize pool of $341,000. After 10 and a half hours of play, the winner was Shawn ‘SayGoodNight’ Daniels who took home the largest single cash of the series of $83,545. His victory also qualifies him for the 2018/2019 Global Casino Championship. He defeated ‘Adopt_adogg0’ in heads-up play who, for his runner-up finish, added $46,887.50 to his bankroll. A former #1-ranked player in New Jersey, Yong ‘LuckySpewy1’ Kwon also made the final table, bowing out ninth-place finish for $4,944.50. Perhaps ‘Adopt_adogg0’ was slightly disappointed with his runner-up finish in the Main Event, being so close to taking it down. However, it’s unlikely he’s unhappy with how his entire week went. In addition to his second place finish, he had already binked a victory in the series. Not only was a victory, but it was also for the second largest payout of the entire series. ‘Adopt-adogg0’ bested the 130 player field in Event #8 ($1,000 NLHE High Roller) for $56,201.75. Together with his Main Event score, he took home over $103,000 during the week. The High Roller final table included PocketFiver ‘mygame’ who finished in fifth place for $12,466. Impressive as it is that ‘Adopt_adogg0’ nearly had himself two tournament wins, ‘kazuomatsui’ actually pulled off the feat. He took down two of the thirteen events, earning a Circuit ring for each hand and a total of over $73,000. His first victory was in Event #6 ($320 Monster Stack) where he defeated the 422 player field for his $42,556.50 score. 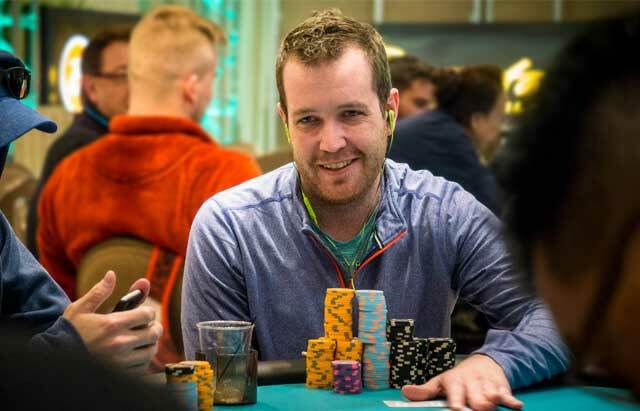 He followed it up six events later in Event #12 ($320 Double Stack) for an additional $30,448.50. A number of PocketFivers put in Circuit winning performances. All of them booked five-figure scores and added some hardware to their respective trophy cases. Katie ‘katie75013’ Cappuccino earned a career-high score of $30,925 with her victory in Event #3 ($320 NLHE 6-Handed). Another PocketFiver ‘sychosid’ finished as the runner-up in the same event for $18,088.50. In Event #4 ($250 NLHE Turbo) Ian ‘APokerJoker2’ Steinmann wrapped up the victory over the 198 registered runner for a score of $18,654.30. The victory brings Steinmann a second career Circuit ring and over $400,000 in career online earnings. Daniel ‘juice’ Buzgon won Event #7 ($215 NLHE Deep Turbo) for $17,172. He also managed a third-place finish in Event #10 for another $10,000 to add to his career lifetime earnings of over $3 million.